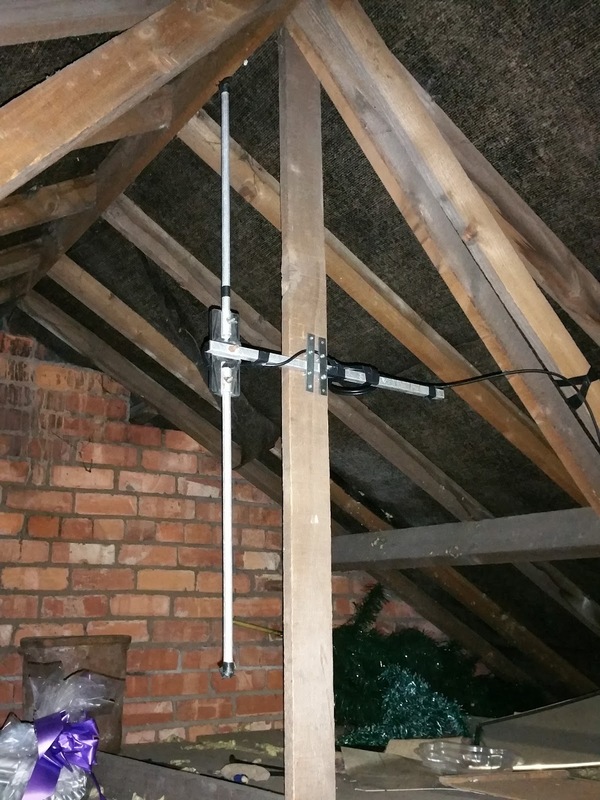 145MHz dipole in loft to use until I connect coax to new shack location. No hurry, only moved rooms about 6 months ago. Noise from devices in the house is a bigger problem on VHF than the signal loss, a lot of it is from networking gear and the printer. Noise isn't just a HF problem any more.